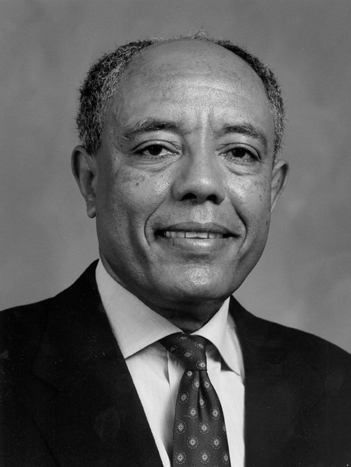 Tilahun D. Yilma is a Distinguished Professor of Virology in the School of Medicine and the School of Veterinary Medicine at the University of California, Davis (UC Davis). He also directs the International Laboratory of Molecular Biology for Tropical Disease Agents at UC Davis. Born and raised in Ethiopia, Tilahun Yilma had an innate interest in nature and science that his father and stepmother encouraged. He excelled in school and was able to attend a prestigious high school where he was taught by university professors. After two years of university in Ethiopia, he continued his education in the United States and eventually became a U.S. citizen. He earned a bachelor’s degree in veterinary science (1968), a doctorate in veterinary medicine (1970), and a Ph.D. (1977) from UC Davis and did further studies in medicine at Cornell University Medical College. Dr. Yilma’s research focuses on the development of recombinant vaccines and rapid diagnostic kits for viral diseases of humans and animals. Among his notable accomplishments has been the development of a genetically engineered vaccine for a fatal cattle disease, rinderpest, which is caused by a virus. He also developed an inexpensive kit for quick diagnosis of rinderpest. The disease, brought to Ethiopia by three infected cows during the Italian invasion of 1888, had reached epidemic proportions throughout Africa before Dr. Yilma’s vaccine was introduced. He spent several years in the 1970s tracking the spread of the disease in Ethiopia and vaccinating cattle. In 1997 the vaccine was approved for use throughout Africa. The diagnostic kit and vaccine are now expected to eradicate rinderpest around the world. Dr. Yilma has developed vaccines and diagnostic tools for other diseases as well and is currently experimenting with recombinant DNA to create an effective vaccine for AIDS. Along with his own research, Dr. Yilma has devoted himself to fostering the careers of young scientists in developing countries. He is convinced that, given adequate training and support, they will be able to find solutions to the critical problems in their regions of the world. One outcome of his efforts was the establishment of a new research laboratory near Cairo, Egypt. Like his own lab, it is called the Laboratory of Molecular Biology for Tropical Diseases. After his retirement from UC Davis at the end of 2016, Dr. Yilma will be working on several book projects, addressing problems of African American boys, and participating in technology transfer in molecular biology mainly to Africa. Dr. Yilma has served on boards of numerous foundations and organizations. His outstanding contributions to science and medicine have been recognized by many professional organizations. His numerous awards include the Ciba-Geigy Award for Research in Animal Science (the highest international award in that field) and the 2001-2002 UC Davis Faculty Research Award (the university’s highest honor for research). He is a Fellow of the American Academy of Microbiology and a member of the National Academy of Sciences.